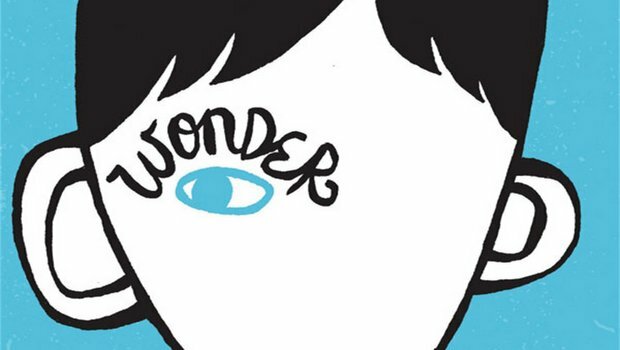 R.J. Palacio’s novel appears to be written for eight- to twelve-year-olds, but is, in reality, a compelling and inspiring book for readers of most any age. I do realize that Gina mentioned this book in a post from a while back, but after reading it myself, I felt it deserved a devoted post all to itself. August emerges as an honest and straightforward narrator, explaining in unemotional terms what it is like to walk through the world as he does. He maintains a sense of humor through many of his struggles, as well as a remarkable tolerance and understanding for the way people relate to him. Usually. I spent the first eighty pages thinking that I was reading a decent book about “difference” written for tweens. Then, Part Two began, and just when I had decided August’s older sister Olivia was incredibly self-absorbed and unsympathetic, I found myself in her shoes. And while in them, I must say things looked different. In fact, there are many narrators in this book, many layers, many truths. Since every interaction and conflict has at least two sides, events are told and re-told from another’s voice and perspective. The book covers August’s first year in a mainstream school from start to finish, but jumps between August and two of his classmates, his sister, her boyfriend, and her former best friend. Palacio makes it possible to see how reasonable people might occasionally make bad choices, and how events that seem clear and simple might be much more complicated when filtered through someone else’s experience. Underlying August’s story is a plea for people to choose kindness. As the principal addresses the student body at the end of the year, he quotes J.M. Barrie: “Shall we make a new rule of life…always to try to be a little kinder than is necessary?” I finished the book with the sense that I could and should strive to be a better friend, a better parent, a better person–and not in a mushy Hallmark way. What more could one possibly ask from a book? Palacio was originally an art director and book jacket designer. She was inspired to write this book when she took her two sons out for ice cream and they encountered a girl with facial abnormalities. Her three-year-old began crying, a milkshake was spilled, and they fled. The incident and their reactions did not fade from her memory, and eventually that became the seed for Wonder. You can read more in an interview with the author here. There is only one character for whom I felt no empathy: Julian, a boy who taunts August relentlessly throughout the book. I don’t particularly want to sympathize with him, but he was the only character who felt two-dimensional; his voice was missing. I was pleased to discover that Palacio later wrote an addendum chapter, one written from Julian’s point of view. I look forward to reading it! Enjoyed your review of this book. Planning to find a copy to read. Thanks, Carol. So worth it. Looking forward to sharing it with my girls. I’ve been hogging it:). Thanks for reading. I’m excited to check out your blog as well!